Is NRI required to file income tax return? – a very common question. In short – an NRI is liable to pay tax under certain conditions. 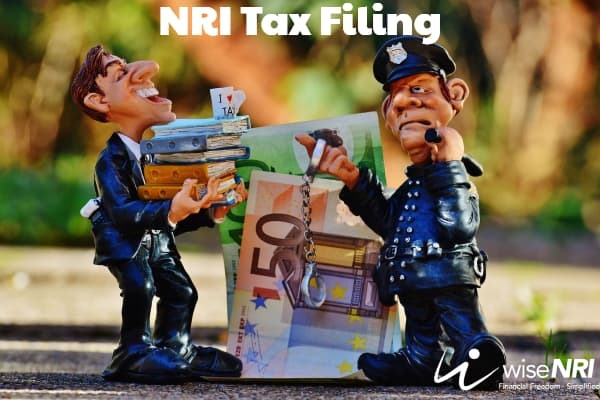 This post will cover that… We have also touched – how to file NRI income tax return online. Let us look at the various aspects of filing tax. Interest earned in NRO accounts – It is subject to tax. Rental income – It is subject to TDS of 30%. The tenant is responsible for deducting TDS and submit Form 15CA (and in some cases Form 15CB also) and then pay rent to the NRI. Capital gains on house property or other asset – It is taxable and has to be added to the total income earned. Income from fixed deposits or interest on savings bank account – Income is earned/accrued in India and therefore taxable. Income earned – If you earn income while in India for part of the financial year, you have to file returns for the same. If you have earned income in India for work done abroad, you have to file returns too. The due date for filing income tax returns in India is on or before 31st July for the preceding financial year. So for the financial year – Apr 2017- Mar 2018, you have to file taxes on or before 31st July, 2018. If as an NRI, you are a working partner in a firm that has not had the accounts audited yet, then you have to file taxes by September 30. You need not be physically present in India to file your tax returns. You can send all the relevant documents, complete the relevant form and sign it and send it to a tax expert in India who can file it for you. Get the documents and information such as PAN card, bank statements, income details and deduction details. Choose the right ITR form. Select the option on how to file returns. You can e-file your returns or download the relevant ITR complete and upload it. 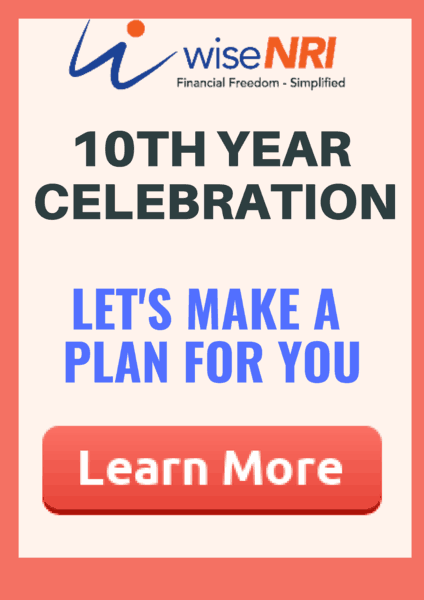 You will get an acknowledgment on receipt of the form. It can also be verified online or e-verified by using Netbanking, Aadhaar OTP or Bank account number. You will get a refund only if you file your tax returns. So even if you do not have to pay any tax but are eligible for a refund, you will still have to file tax returns. If you want to offset your capital losses against capital gains to lower tax liability, you have to file tax returns. If you want to offset your capital losses against capital gains to lower tax liability, you have to file tax returns. Hope this helps you to file your tax returns this year smoothly. 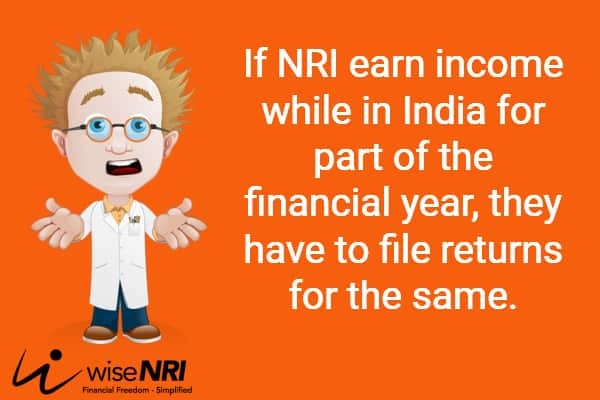 Please feel free to ask questions in the comment section regarding NRI Taxation. 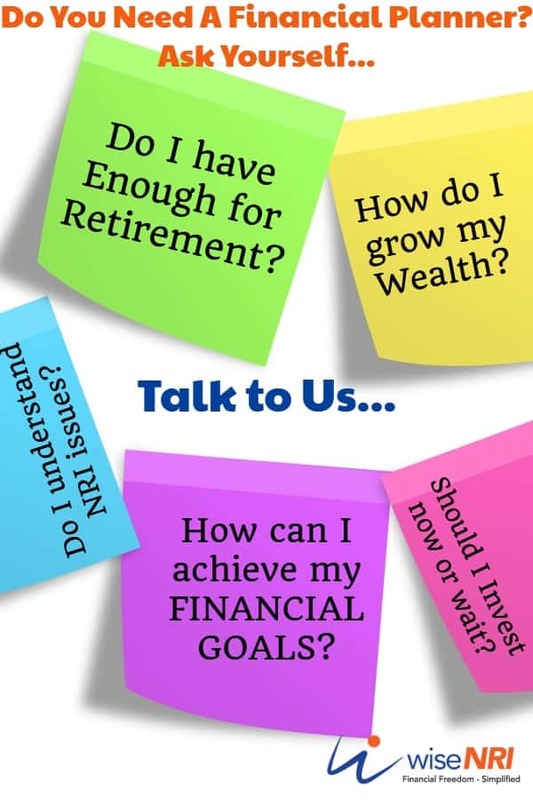 Note – We are not CA but will try to answer based on our learning while working with NRI clients. i m nri and my employer send money which i hv earned outside india. i m working outside india he send money directly to my nre account ….is it taxable ? Yes, “income received in India” will be taxed in India. But DTAA can provide some relief – talk to your CA. I will try to write a post on this. I left India in 1996 and have been living outside India since and have been visiting india only for short periods every year ( once or twice for 2 weeks at a stretch maximum ). I have investments in various banks and have FDs ( both INR and FCNR ) and hold NRE and NRO accounts. My rental income, mutual fund investments is through my NRO a/c only. I have not filed tax returns as yet and tax is deducted at source on my NRO accounts. Apart from these, I do not have any other monies anywhere else to declare. Do I still need to file Income tax since I continue to hold NRI status or should I only file as and when I get back to India? If your status is NRI and your total income in india exceeds 250000, you have to pay tax in india and file your return. If your tds is deducted on any income in india, you can easily claim it by filing return. I want to know whether Salary income out side India should be disclosed in ITR or not? If you are an NRI & filling tax in India – you can show that Income that you earned abroad. You don’t have to pay any tax on that.